Celebrity Motion Furniture, Recliners, Settees, Sofas & Suites with free delivery across England & Wales. Fabric & Leather coverings are available across all models as well accessories such as footstools, armcaps, head cushions & neck pillows. Some chairs & recliners can also be delivered with massage systems or heat pads & many electrical riser recliners are offered with a zip speed delivery. With a range of recliners to suit everyone, in a variety of colours, fabrics and also in the finest leather, there is a Celebrity recliner or suite to suit every home. We have a fantastic collection in store to try so come in in and make yourself comfortable! With a growing range of chairs and suites it is easy to find a chair which suits you. Choose from over 80 fabrics, 4 motor actions on the power chairs along with a fixed chair option. 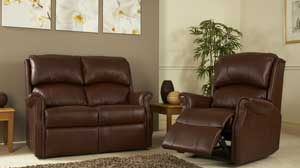 Now with a range of ‘all-action’ suites the recliner or rising chair no longer needs to be the ‘odd’ chair in the room. 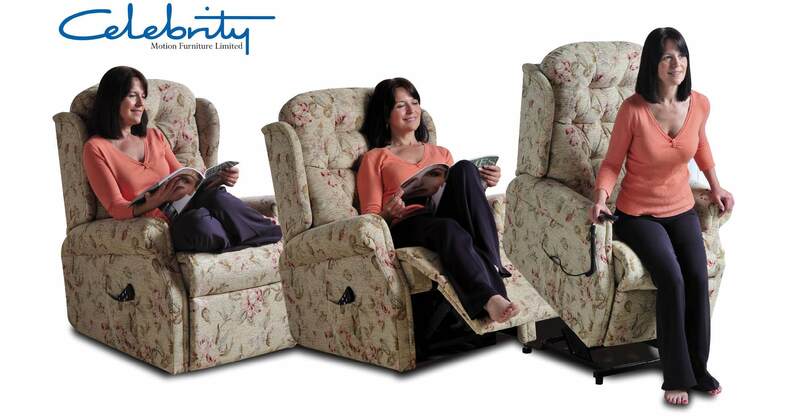 Celebrity suites offer not only the choice of 5 rising/reclining actions in the recliner but also the option of manual, powered handset recline and button powered recline in both the 2 and 3 seat settees (selected ranges). So now you can enjoy design co-ordinated total relaxation in a variety of styles and a choice of over 100 fabrics. The traditional luxury of fine leather married with Celebrity’s action technology mean that you can be reclining in one of the all-action leather suites. Choose from a range of styles from the traditional Woburn to the more contemporary square-arm design of the Cheltenham. All settees come with the option of fixed, manual or power recline action. Heat pad option available on all power recliners. Controlled by an additional button on the slim handset, the heat pad is designed to gently warm the lower back. Ideal for those cold winter evenings. We are all different shapes and sizes and in recognition of this many of our models are available in a range of sizes – so no matter your own shape or size we should have a recliner thats tailored for you! 5 year Guarantee. 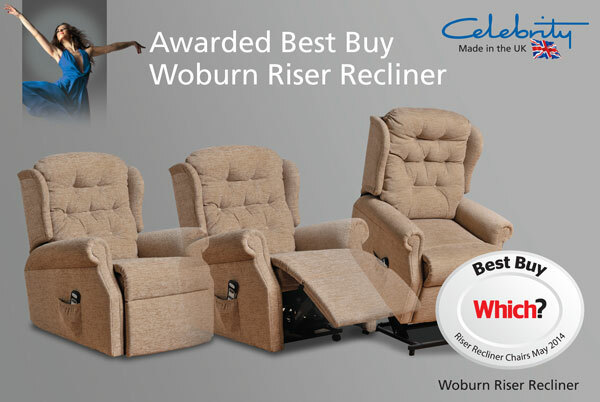 Celebrity are so confident that they have selected the best components to use in their recliners thy offer a 5 year guarantee on all products and no extra cost.